Severn House Publishers, 9780727886576, 224pp. Pepper Martin, now Community Relations Director of Garden View Cemetery, is contacted by the ghost of Eliot Ness, one of Cleveland's most famous dearly departed. According to Ness, the ashes scattered at the ceremony twenty years earlier weren't his. His were stolen prior to the ceremony by a Ness groupie, and he cannot rest until those ashes are found. Luckily, Pepper has an idea where they may be. Knowing she'll have no peace until she does what the ghost wants, Pepper travels across town to retrieve the ashes. When she gets there, though, she finds more - and less - than she bargained for. There is a dead body in the house . . . and Eliot Ness's ashes have vanished. 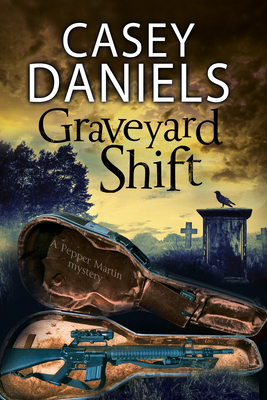 Pepper sets out to solve the murder of the man in the house where the ashes were supposed to be. But when a mysterious package arrives for Pepper, containing the spirit of Al Capone, and her boyfriend Quinn begins acting strange, things go from bad to worse . . .